Advanced Massage Clinic, a well respected professional business, has operated in the Batemans Bay area of the South Coast since 2002. Julie De Ernsted, the proprietor of this home-based clinic, is a qualified remedial massage therapist. She holds an Advanced Diploma of Applied Science in Remedial Massage from the Canberra Institute of Technology (CIT), where she completed the two-year programme in 2002. She is accredited with the Association of Massage Therapists N.S.W. Ltd (AMT). Ms. De Ernsted also holds massage therapy accreditations from Canada. 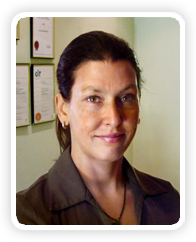 She is an expert Remedial Massage Therapist and is highly-trained in assessment and treatment procedures. Advanced Massage Clinic and its staff of professional massage therapists use various techniques of therapeutic massage. Treatments are always adapted to the client's needs and health. and we will return your call as soon as we can.